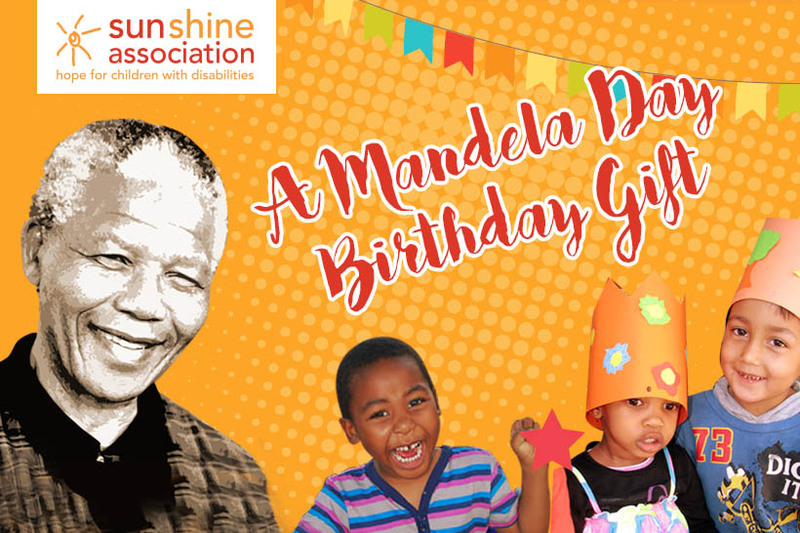 The Sunshine Centre Association is celebrating two different birthdays this year – their own and Nelson Mandela’s. To commemorate our 40th year in existence we have launched a Forty Years and Counting campaign, with a simple birthday wish: an appeal to donate. We also want to say happy birthday to Madiba who would have turned 98 on the 18th July – now known as Mandela Day. He spent 67 years trying to make our world a better place and, in honour of his legacy, people around the globe devote 67 minutes of their time to a worthy cause. Madiba believed that each person could act to change the world. What will you be doing this Mandela Day to support those less fortunate than yourself? Help us share the Mandela legacy by donating R67, R670 or even R6 700 to the Sunshine Centre Association, so that we can continue helping children with disabilities. A bursary or sponsorship will make a huge difference in the lives of our children. Every contribution is a birthday gift to the Sunshine Centre Association and with your assistance we can continue giving children with disabilities the best possible start in life. A 18a receipt will be given for all donations above R100. This year you can give a gift that really counts and help us to spread the sunshine for another 40 years.